I am excited to finally be able to bring out my teammate Eddie Cummings for leg lock seminar. Eddie was one of my primary training partners in NYC, he has recently been making quite a name for himself in the sub only tournament scene. 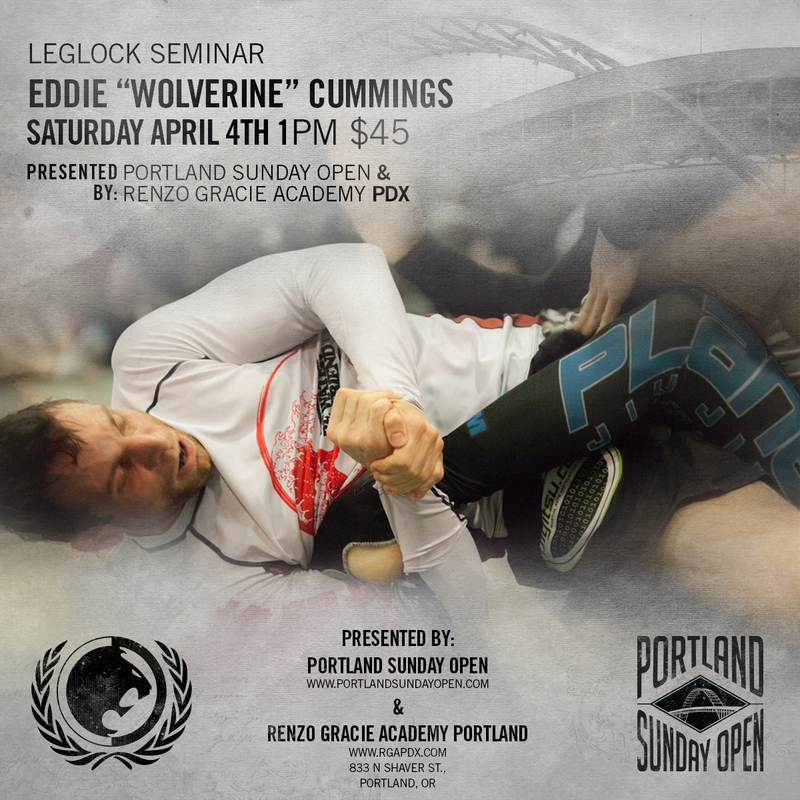 This will be your best opportunity to learn the finer points of the heel hook. Saturday, April 4 at 1pm. Cost $45, or save $10 with preregistration by March 29 and Portland Sunday Open registration. Eddie Cummings earned his Brazilian Jiu Jitsu Black Belt in five years under John Danaher > Renzo Gracie, known for his leglock centric submission style. He has won numerous NAGA/PGL/GRAPPLERS QUEST Submission-Only titles. He will be at the forefront of the sub-only movement and will compete on the biggest stages in 2015 including the EBi3 on March 22. He is an instructor at Progressive Martial Arts.